The man behind the act, Bob van der Palen became infatuated with music during his early childhood years and after becoming acquainted with his neighbour’s studio, it wasn’t long until he purchased his own equipment and began bringing his creativity to life. 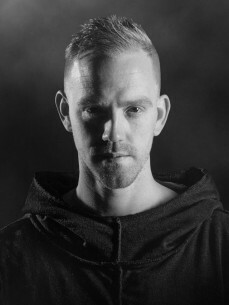 In 2005 and at the age of 15, B-Front burst into the scene when he released his first track “Motherfucking Psycho” on DJs Records which was followed by his chart-topping hit “Lunatick” in 2006. Gaining immense support from industry heavyweights, the name B- Front was put on the radar which sparked his determination to prove that the best was yet to come. His already strong discography subsequently secured his name on some of the biggest line-ups such as Defqon.1 (The Netherlands and Australia), Intents Festival, Tomorrowland, Reverze, Dominator, Q-BASE, Hard Bass, Mysteryland and many more. B-Front was not only renowned for showcasing his obscure and cryptic sound throughout his performances but his intense connection with the crowd and energy on stage was so unique that DJ sets became a next-level experience that stimulated all senses.